In the past many users have requested for a functionality to add Alert (Reminder) to the iCal - iCalendar (.ics) file that the user can download. The functionality is added to the tool now and available for anyone to use. 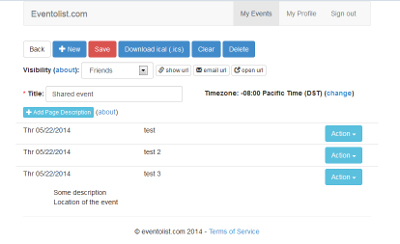 Have you ever wanted to quickly and easily share event information with others? Also make the events info downloadable as the industry standard icalendar (.ics) format so others, or your self, can easily add the event info to their/your calendar? 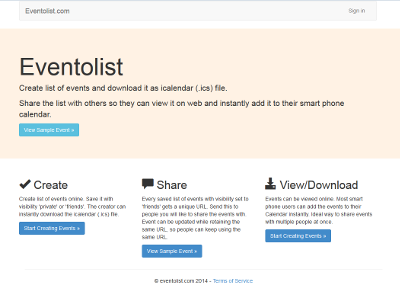 If so then eventolist.com is a perfect site for you. 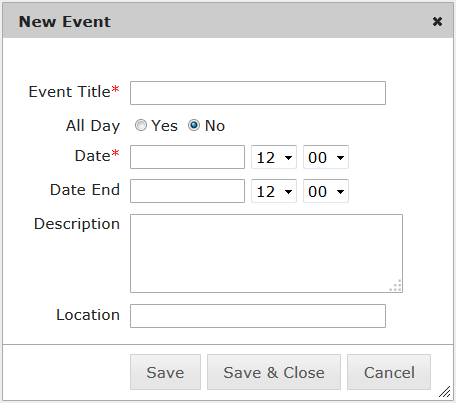 Create event page and share it online so others can view and download icalendar (.ics) file. Create list of events (just like iCal Event Maker) and download the icalendar (.ics). 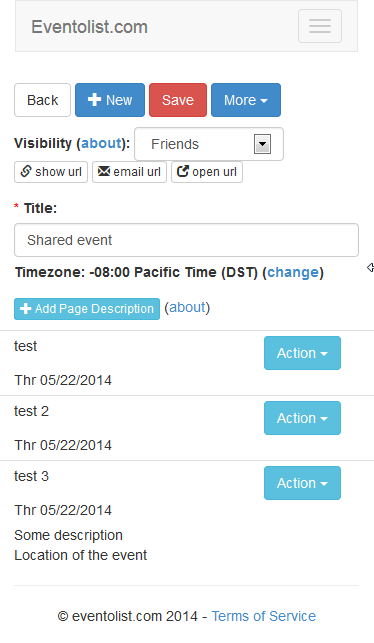 Create the events on a mobile friendly tool. View and download events on a mobile friendly page. In most smart phones, the events can be directly added to their calendar from the event page. 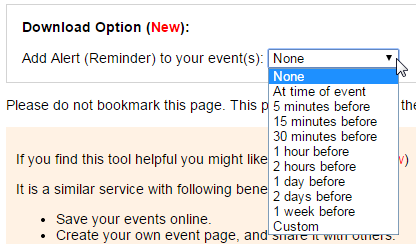 My Event List page - Once you log in, you will be able to save the events online. 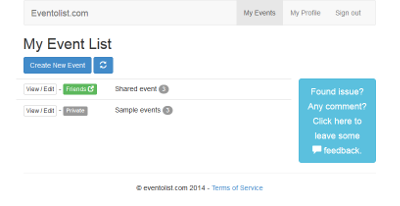 Event edit page (mobile view) - Events can be created and managed in a mobile friendly tool. Event edit page (PC view) - All of the pages works great both on mobile and on PC. 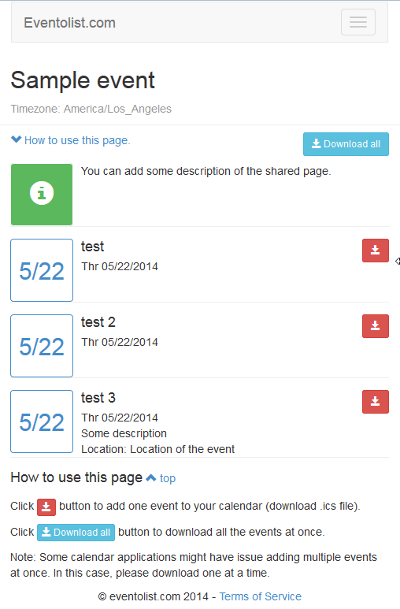 Sample event page (mobile view) - When event is saved with visibility set to "Friends", the event will be shareable with the provided URL. People will be able to download the icalendar (.ics) so they can easily add the events to their calendar. Copy functionality was added to the iCal Event Maker. It makes it little easier to create similar events in the same feed.